Gardeners often make the mistake of overlooking their lawn, instead choosing to invest their time and energy in their flowers and bedding plants, cultivating them to flourish. However, even the most striking display of blossoming perennials will lose their shine if the surrounding grass is lacklustre and dull. Your lawn should be given the same care and attention as the fussiest rose bush. After all, it is the foundation of your garden, the canvas that every other feature and plant are set against. Lawn maintenance might sound like another boring chore on an endless list, but in most cases, it’s simply a matter of making adjustments to what you are already doing and keeping in mind exactly what your grass needs. So here are 19 helpful lawn care tips to help your grass thrive! 1) One of the smallest but most effective changes you can make to help your grass is the way you cut it. Check your lawn mower blade regularly and sharpen when necessary. 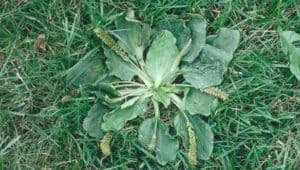 A dull blade will split and hack your grass, making the tips yellowed and more vulnerable to disease. 2) Varying your mowing pattern will stop the grass from ‘leaning’ as it grows, and avoids ruts developing in the lawn. Try and mow in a different direction each time to ensure an upright, even lawn surface. 3) Only cut when the grass is dry. Mowing wet grass gives an uneven finish and can damage the blades of grass, as well as clog your lawn mower with wet cuttings. If you have no other choice but to cut your grass when wet, always remove the clumps of clippings from your lawn afterwards. 4) Different types of grass have different needs. Cool season grasses need more mowing in spring and autumn, whereas warm season grasses need more mowing in summer. 5) Get the height right! Believe it or not, cutting your grass to the correct height makes all the difference to its growth. Keep the blade of your mower low for the first and last cuts of the season. 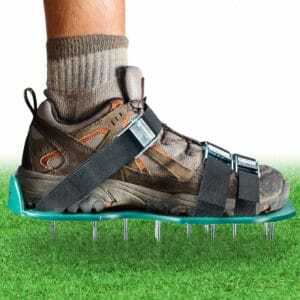 Raise the blade during the summer to let the grass grow longer. This will create shade, preventing weed growth. If your lawn mower doesn’t have a very diverse cutting height range, be sure to take a look at our lawn mower buying guide. Most of the mowers we’ve reviewed have a range of anything from 2cm to 7.5cm. 6) Shaded areas benefit from a higher mowing height. 7) Warm season grasses benefit from a shorter cut. Guides can be downloaded online which outline the best cutting heights for each species of grass. 8) To put it simply, grasscycling is a great excuse for being lazy! Leaving the grass clippings on your lawn after mowing not only saves time and effort, it also acts as an excellent natural fertilizer, nourishing and feeding your lawn. For optimal results, invest in a proper mulching blade for your mower which will shred the clippings smaller, making them easier to break down. 9) Grasscycling only works when the grass is dry. Leaving clumps of wet clippings on your lawn can cause untold damage. It is also only suitable for regularly mowed lawns, leaving deposits of longer clippings can stunt the growth of your grass and result in brown or yellow patches. 1 0) The best defence against weeds is keeping your lawn lush and at the correct height. This will create enough shade to prevent weeds germinating and growing. However, if you find you do need to use weed killer, it should be done as part of your spring lawn care, before the weed has a chance to develop strong roots and germinate. Our recommended weed killer is Roundup Fast Action Pump n Go Spray. 11) Certain weeds need specific treatments. The first step is to correctly identify the type of weed you are dealing with. Once you have done this, research the best plan of attack. Some species need a once off spot treatment, whereas other hardier classes require a prolonged and concentrated dosing. 12) Early spring and autumn are the best times for fertilizing. Light feeding in between sustains the growth; however, heavy fertilizing should be avoided mid-summer as it encourages weed development. 13) If you must choose one time for fertilizing, it should be during your autumn lawn care as it will help to repair damage caused by the summer heat, ensuring your lawn survives the winter. Choose the correct type of fertilizer for your grass type and climate. 14) When it comes to using chemicals on your lawn, whether for fertilizing or eradicating weeds, it is best to do your homework beforehand and weigh up the pros and cons of what you are about to do. Always follow the instructions on the lawn care products you are using and take special safety precautions when applying the chemicals to your lawn. You should also take into consideration any children or animals who may be affected by the products you are using. 15) How much watering your lawn requires depends on the climate you live in and the type of soil you have in your garden. Obviously, drier climates require more watering than wetter climates. Sandy soils drain quicker, so they benefit from more regular irrigation than clay soils, which can easily become waterlogged if watered excessively. 16) As a rule of thumb, your lawn needs 1-2 inches of water weekly. If you find you do need to water, then doing so twice weekly is better than daily. The best time to irrigate your grass is early morning when the air is cooler. In the afternoon heat, the water will evaporate quicker and in the evening, the water will cling to the grass, making it vulnerable to mould and fungal diseases. 17) Aerating basically means poking holes in your lawn to help water, oxygen and fertilizer pierce the soil easier. Some lawns benefit more from aeration than others. If your garden has a lot of footfall, or the soil is layered or has a spongy feel, then aerating will help the roots of your grass grow stronger, meaning your lawn will be thicker and more fertile. 18) There are two main types of aerator available, spike aerators and plug aerators. Spike aerators simply puncture a hole in the soil, whereas plug aerators remove a plug of grass and earth from the lawn. Plug aerators tend to yield better results than spike aerators. Aerators can be purchased or rented from most tool hire companies and garden centres. 19) Growing season is the best time to aerate your lawn, when it will have a chance to heal itself after soil plugs are removed. Cool season grass is best aerated in early spring or autumn, and warm season grass is best aerated in late spring or early summer. Once you have aerated, you should apply a layer of weed killer to discourage weeds from infiltrating the holes. As you can see, keeping your lawn in tip-top condition is more about making small routine changes and being aware of what your grass and soil type need to help them prosper. Apart from a good lawn mower, some weed killer and fertilizer, and possibly an aerator, an abundant green lawn doesn’t require any other special equipment. So there are no excuses for a dull, dehydrated garden this season!